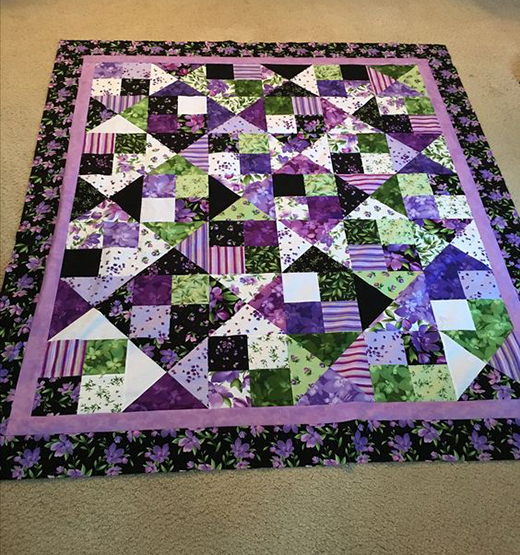 The Alter Ego Quilt made by Kae Harrison using Catalina Ultra Violet Fabrics from Maywood Studios, The Tutorial designed by Jenny of Missouri Quilt Co, it's available for free. Jenny Doan shows us how to make what we call the "Alter Ego" quilt using Layer Cakes (10" precut fabric squares). It's a mix of two blocks - the Hour Glass Block and the Scrappy Four Patch. Lovely by Debbie Beaves (the fabric featured in this tutorial) - while quantities last!. Scrappy 4 Patch Tutorial. The Hour Glass Tutorial.